#Playing in the rivers of #Mongolia on a #RoyalEnfield. It’s such a #thrill to cross a stream on a bike, especially when you’re in the #middleofnowhere. Jammin thru Mongolia Starts Now! div>A #dreamcometrue! Flying tonight to #Ulaanbaatar for the start of Jammin thru #Mongolia. Ten days #riding #RoyalEnfield Bullets across the vast #steppes. Riding the dusty tracks around the #maasai #Mara. Sculptures in the desert. These are the lifeless tress of Dead Vlei in Sossusvlei, surrounded by the giant sand dunes of the Namib Desert. I’m slowly sorting through the photos from my ride through Namibia in early 2013. From over 5,000 photos, I’m selecting a collection of about 200. What a tough task! This was shot on the border of Namibia and Angola on the Okavango River. 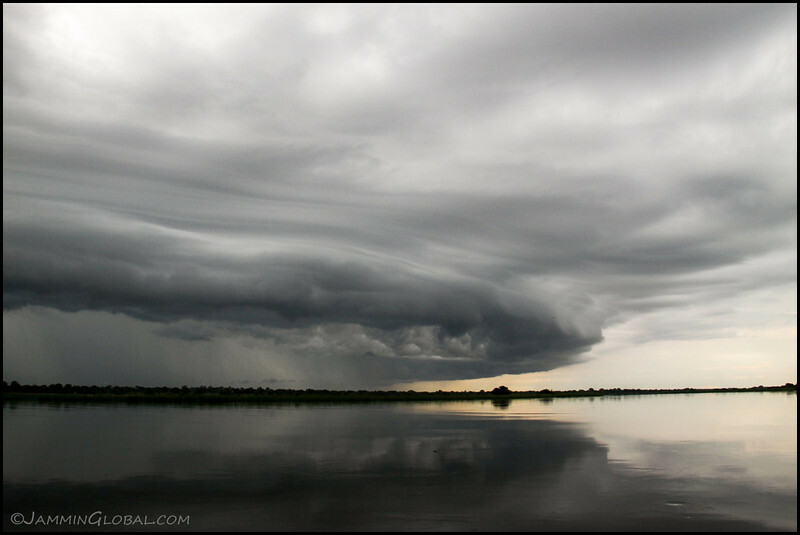 I took a boat ride from my campsite in Rundu and we had to high-tail it back as this fast moving rain system moved in. I kept clicking the gorgeous sculpting of the storm clouds by the winds until the rain forced the SLR away. If you’ve seen the Planet Earth show, you’ll know that this river doesn’t end in the sea but instead flows inland to Botswana where it spreads out as the Okavango Delta. I was here during the intense southern summer rainy season and the locals said the river was rising daily as it rushed to quench a part of the Kalahari Desert. A Himalayan panorama. A 270 degree capture of the road from Manali to Leh and the epic view at the start of the Morey Plains. Perfect place to feel insignificant on this massive rock we call home.